Glenda Davenport was named 2010 Secretary of the Year. The event, held at the Cannon County Senior Center and presented by Woodbury Insurance Agency, featured Tennessee First Lady Andrea Conte as guest speaker. Following the introduction by WBRY owner Doug Combs, a speech by First Lady Conte, and the invocation by Dennis Clark, pastor of Woodbury Seventh Day Adventist Church, a trio of community contributors were named. Glenda Harris Davenport received the 2010 Secretary of the Year Award, presented by First National Bank. Davenport is the secretary for Cannon County High School. She is leaving the position at the end of the current school year. Named as 2010 Community Activist of the Year was Amanda Burk. She received the Billy J. Allen Memorial Award presented by Stones River Hospital. Burk is the Coordinator of the Cannon County Child Advocacy Center. 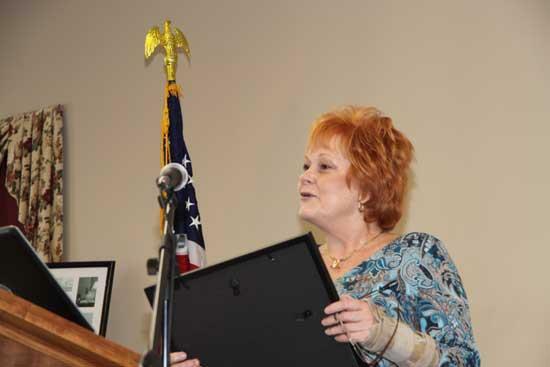 Receiving the 2010 Career Woman of the Year award was Joann Tate. The Jo Ann Hancock Memorial Award was presented by First National Bank. Tate is the owner of Jennings Jewelers. Combs said the luncheon is "an opportunity to say thank you to a good number of people who normally don't receive a lot of recognition for what they do for the community." Amanda Burk was named 2010 Community Activisit of the Year. Tennessee First Lady Andrea Conte was the guest speaker at the conference.